Yes. With mulch, plants are hardy to about 20°F. Not usually required is a mulch is used to keep soil moist. Chinese Cabbage, Cabbage, Beans, Onion and Onions. Sow direct into the ground in mid spring, and again in late summer for a fall crop. Sow seeds 4 inches apart, and thin to proper spacing. Can be started indoors if the roots are not disturbed as seedlings are transplanted. 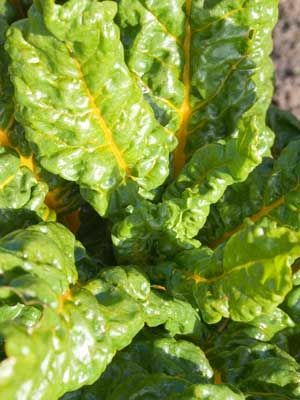 Swiss chard is so beautiful that it should be grown where it is easily seen. A great vegetable for edible ornamental beds. Twist leaves from the outside of the plant regularly from mid summer onwards. Plants regrow when cut back to 3 inches. Cutworms can girdle seedlings, so be watchful when growing chard in spots recently vacated by grass.